Have you ever stopped to notice how bland the Command Prompt window looks? Even after all this time, it’s still white text on a black background. It’s like a throwback to the early days of computing. Let’s be honest, the app’s design isn’t exactly modern either—but we can’t do anything about that. We can, however, change the default colors of the Command Prompt app and jazz up the color scheme we see when banging out commands 15 CMD Commands Every Windows User Should Know 15 CMD Commands Every Windows User Should Know The command prompt is still a powerful Windows tool. Here are the most useful CMD commands every Windows user needs to know. Read More . Let’s take a closer look. Click on Command Prompt to open the app. Right-click on the app’s title bar. Click on the Colors tab at the top of the window. You now have several options to play with. In the upper left-hand corner of the window, you’ll see the four properties you can change. They are Screen Text, Screen Background, Popup Text, and Popup Background. Color-wise, you can either select one of the pre-loaded options or enter your own RBG values in the box on the right. Lastly, at the bottom of the window, you can change the Command Prompt’s opacity. You can set a very high opacity if you choose suitably bright text colors. While you’ve got the Properties window open, it’s worth exploring the other tabs. You can change settings such as the cursor size, font, and text size. 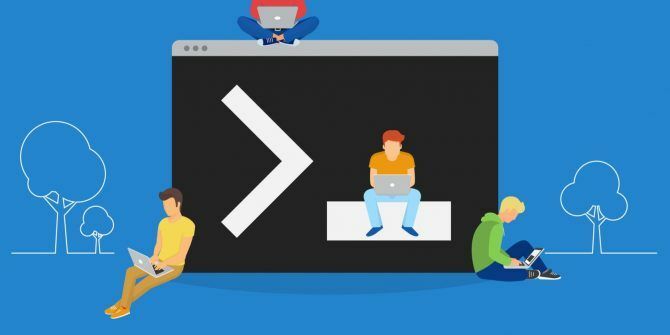 If you’d like to learn more about the app, check out our guide to the best Command Prompt tips and tricks The Best Command Prompt Tricks and Tips The Best Command Prompt Tricks and Tips Command Prompt is a great tool for everyday PC users because it's easy to use, yet powerful. Here are 15 Command Prompt tricks and tips you may have missed. Read More . Explore more about: Command Prompt, . "It’s like a throwback to the early days of computing." It isn't "like a throwback", it is a throwback. All operating systems start their life with only a command line interface. As time goes by, the developers adapt an existing GUI or create a new one and MS-DOS becomes Windows 2. The ability to change the prompt, background and text colors, and the shape of the prompt have always been there but very few people were interested. Everybody wanted to use the GUI.